Betty D. Richmond, 92, of Lititz, died peacefully on October 2, 2018, at Luthercare at Luther Acres, where she had resided since 2000. 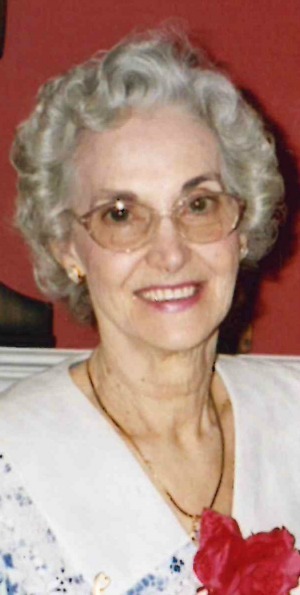 She was the loving wife of Albert H. Richmond, who passed away in 2013. Born in Mount Joy, she was the daughter of the late Emerson and Florence Stamm Rice. Betty was an artist all her life, including scrapbooking, photography, and painting. She loved to sing, and was part of the choir at the Pearl Street United Methodist Church for many years. Surviving are two step daughters; Marilyn (Barry) Erb of Ephrata, PA and Janice Malloy of Bensalem, PA, sister; Dorothy Swope of Middleburg, PA, and two grandchildren; Hailee and Jared Danielson. She was preceded in death besides her parents and husband by her first husband; Wilbur Danielsen, son; David B. Danielsen, and siblings; James Rice, Robert Rice, Donald Rice, and Shirley Beck. Friends and relatives are respectfully invited to attend a Funeral Service on Thursday, October 11, 2018 at the Chapel at Luther Acres, 600 E Main St, Lititz, PA 17543 at 11:00. Friends may greet the family from 10:00 until the time of service. In lieu of flowers, memorial contributions may be made to Pearl Street United Methodist Church, 133 Pearl St, Lancaster, PA 17603. The family would like the thank the staff at Luthercare and to Compassus Hospice for their care of Betty during this time. Our thoughts and prayers to out to Betty’s family. I send this message on behalf of the Rice family.